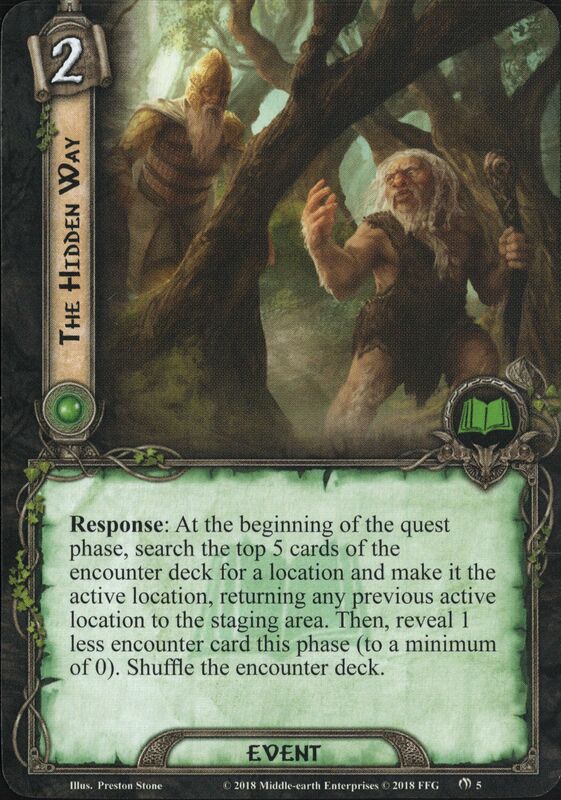 Response: At the beginning of the quest phase, search the top 5 cards of the encounter deck for a location and make it the active location, returning any previous active location to the staging area. Then, reveal 1 less encounter card this phase (to a minimum of 0). Shuffle the encounter deck.